Startups need to work from the ground up. Part of the process of establishing your business is creating materials documenting the kind of work you will be doing, and how you will be doing it. Also, marketing objectives are often laid out in videos, brochures and eBooks. The intention of these materials is to send out something to clients and potential clients to increase revenue. As this information is made public, there is always the chance the competition will simply pick up the copy and use it. This can create a big problem for your company. Protecting the work you have put into everything you produce is highly important, according to StartupNation. And protecting your intellectual property means having it copyrighted. 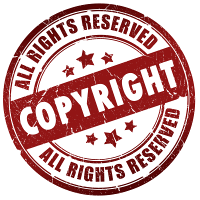 Copyright is simply the right to use and distribute an original work by the creator of that work. There are a few problems you may encounter if you do not copyright your work as soon as you produce it. These problems can result in loss of revenue, professional reputation and even, potentially, your business. If the employees helping you create your startup decide to take the materials they helped create to another company, they can do so, and use it as their own intellectual property if it’s not protected by copyright. You have no legal recourse. By making sure your work is legally protected, you can avoid all of this. Although your work is protected as soon as it has been created either in print or online, and the submission process for copyright is voluntary, it creates a public record which makes litigation for illegal use of materials possible, according to the U.S. Copyright Office. Therefore, if a former employee tries to pass off your creation as theirs, you have grounds to challenge that in a court of law. There are quite a number of original works that can be protected. This includes architectural works, sound recordings, videos and motion pictures, graphics and pictorials, choreographic works, works of drama and any music to go along with them, music and the lyrics associated with the music, and literary works. Keep in mind even such things as computer code can be protected under the protection of literary works. Depending on your business, you may produce any of the above original works as well as company-related materials. All of them need to be protected. The process of getting a copyright is fairly straightforward. An application is filed with the U.S. Copyright Office. This is a process best handled with the help of an attorney to assure the application is submitted properly. Lawyers will ask a series of questions about the process of production as well as your company information. Once submitted, the government will consider the application and either grant or deny protection for the requested work. If granted, a certificate of registration will be mailed to the lawyer. Once you have received a copyright for your work, you are free to produce, distribute or display it as you see fit. You even have certain international rights thanks to the agreements between the United States government and international government bodies. If you should ever experience someone else using your protected work, you have the legal right to demand they stop. You also have the right to recover attorney’s fees and statutory damages once your case has been successfully litigated. As a startup, copyright is crucial to your business so you can use your own creations for you own benefit and profit, and so you can protect yourself from anyone who tries to do the same thing.